Lemonade stands used to be a simple lesson in buying and selling. Now, they're rebuilding communities in Sandy's wake. 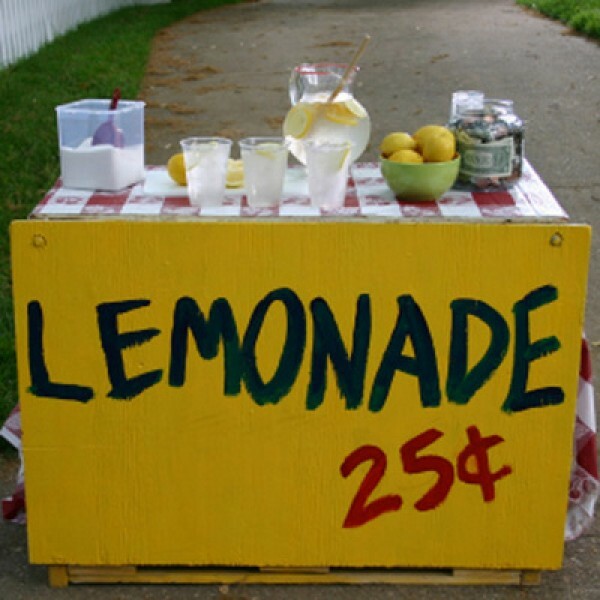 Once upon a time, lemonade stands were a way for parents to teach their kids the basic concept of how commerce works -- what makes business tick. These days, though, they're teaching a whole new lesson altogether: one of compassion and the importance of rolling up one's sleeves in the wake of a crisis. The Team Kids LemonAID project got its start after Hurricane Katrina ravaged the Gulf Coast region in 2005. Mobilizing 1,200 kids and hosting 220 homemade LemonAID stands, the group raised $11,700 for the storm's victims in New Orleans. Since then, they've pitched in to help victims of the California wildfires and earthquakes in Haiti, and now they're banding together again to help out in the wake of Sandy's devastation of the East Coast. To get involved right at home in own community, you can register with the TeamKids LemonAID website and host a lemonade stand, bake sale, garage sale or other fundraiser. 100 percent of all funds raised will go directly to the Red Cross. The project runs through December 31 -- plenty of time to organize something truly sweet to aid those in need. Have you been talking with your kids about helping out after Sandy? What cool ideas have they come up with? The American Red Cross exists to provide compassionate care to those in need. Its donors, volunteers and employees share a mission of preventing and relieving suffering both at home and around the world through five key service areas: disaster relief, blood donation, health & safety services, supporting America's military families and providing humanitarian services around the globe. Copyright © 2012 Milkshake, LLC.